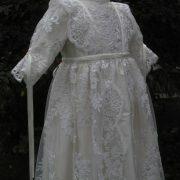 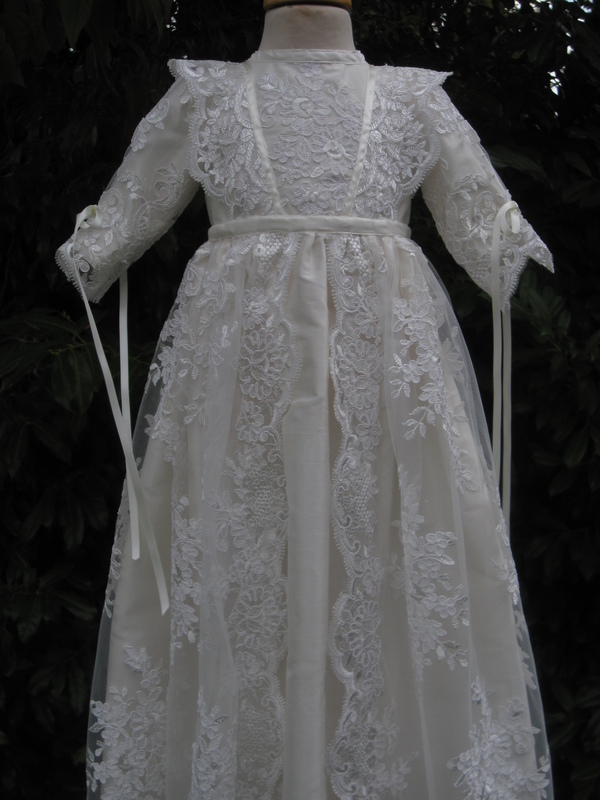 If you are seeking a gorgeous Christening Robe for your baby girl then perhaps The Naia Rose gown is the choice for you. 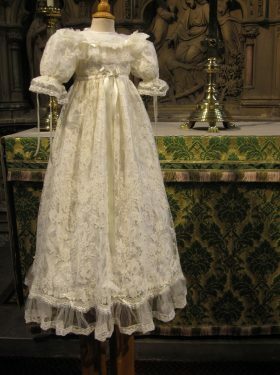 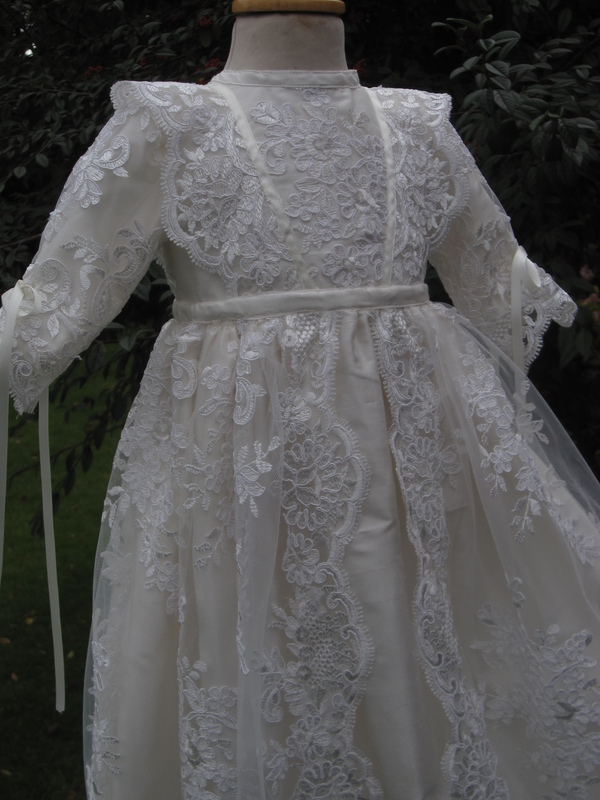 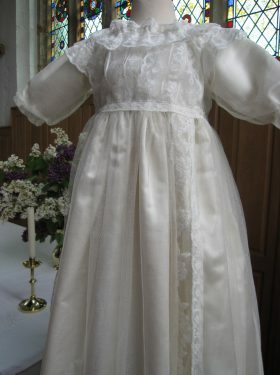 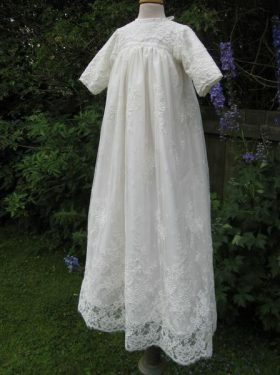 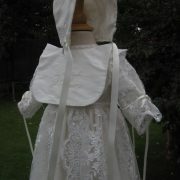 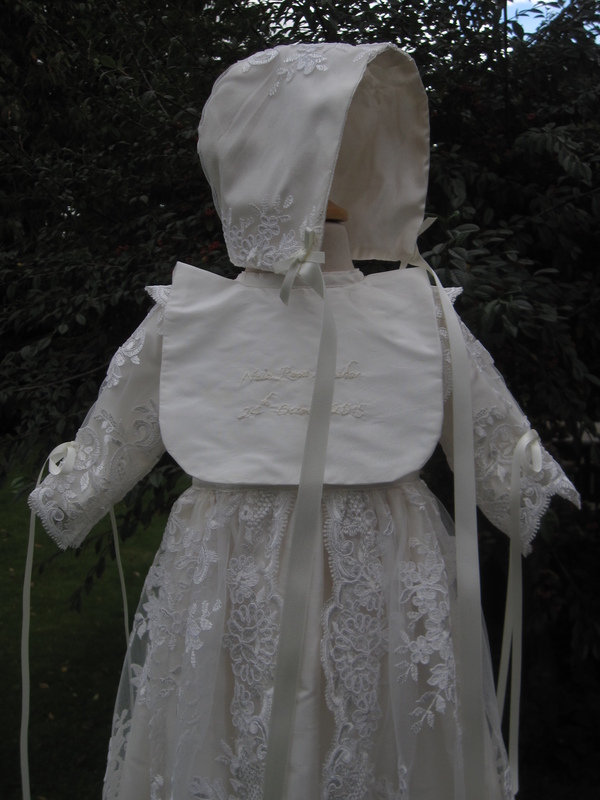 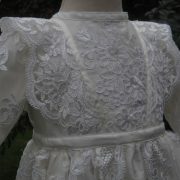 It is similar to the Christiana Christening Gown but has a lace overskirt which opens at the front to reveal the silk dupion undergown beneath. 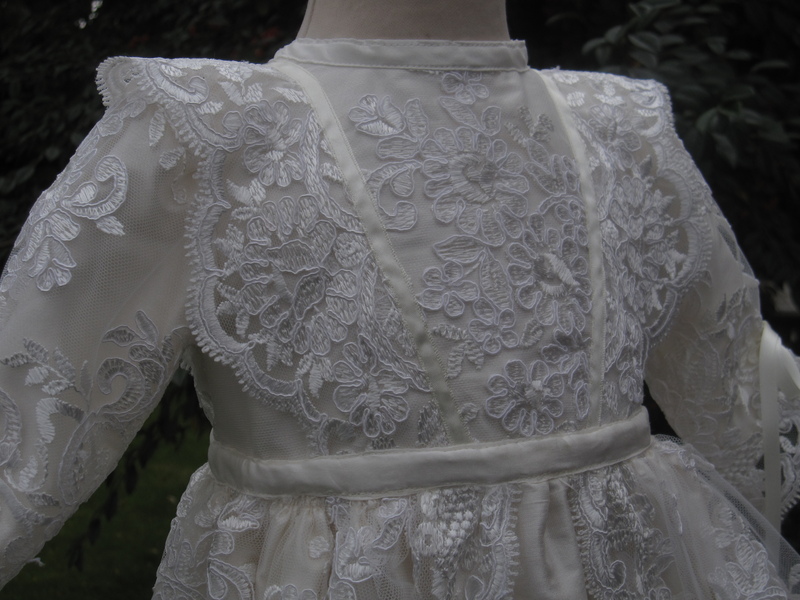 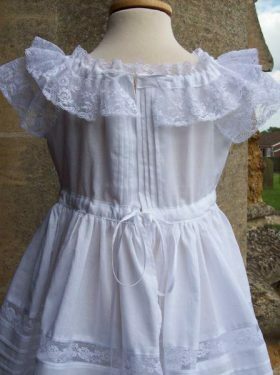 This bespoke garment is styled in the Victorian manner and includes a fine silk undergown and a beautiful French lace overskirt. 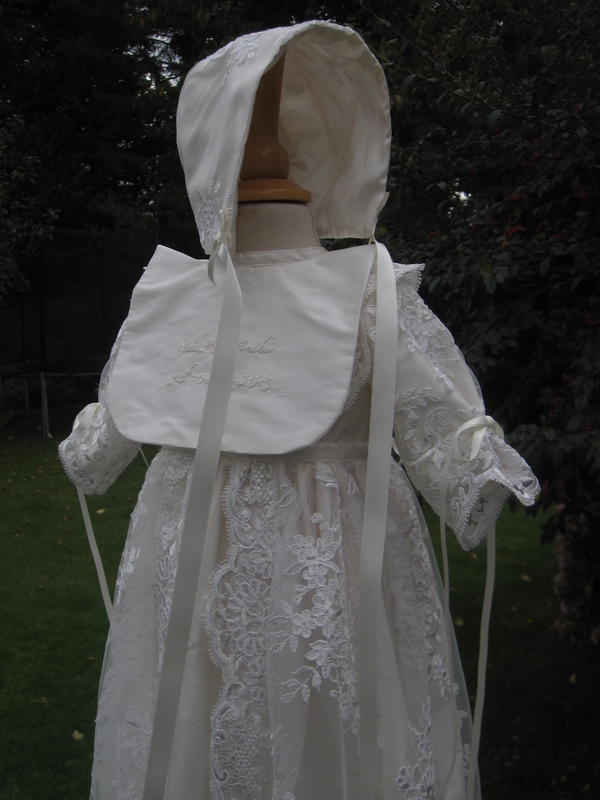 Matching bonnets, booties and bibs are available also. 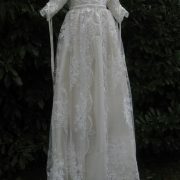 Please have a look at our accessories page for further details. 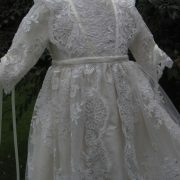 We also have a small selection of shawls available that would suit this gown perfectly. 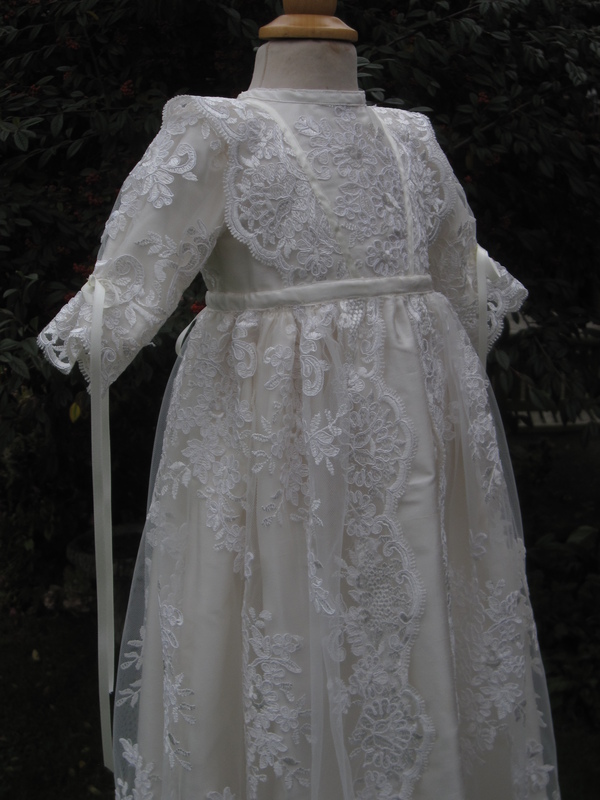 This gown is a wonderful example of craftsmanship and also shows how Little Doves has the ability to create the gown of every family's dreams. 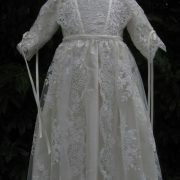 A variety of laces are available to chose from in either white or ivory. 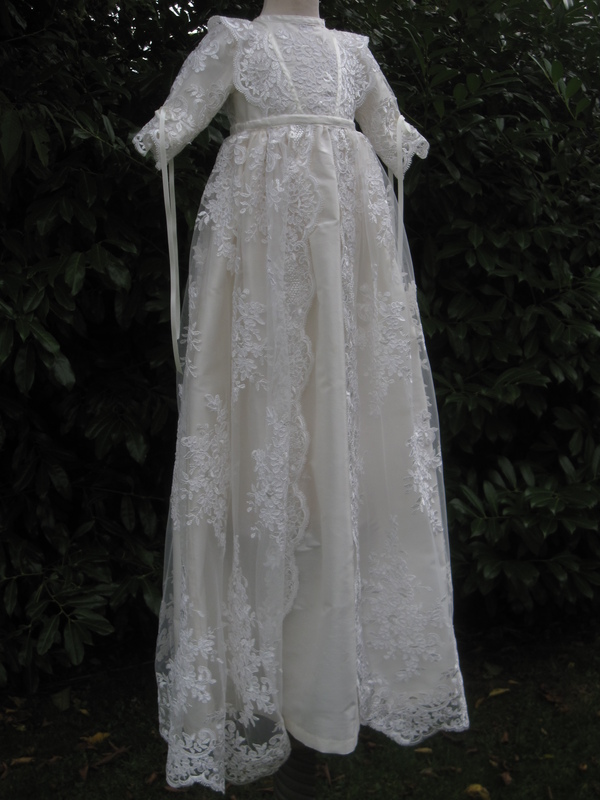 This gown is also available with a Chantilly Lace overgown which gives a softer appearance. 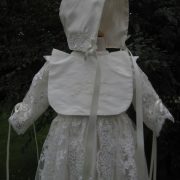 Please ask for samples.